Mix and Match any board with any design! Choose Your Board below to begin. Dimensions and weights can be found in the description below, and the price will change upon selection. 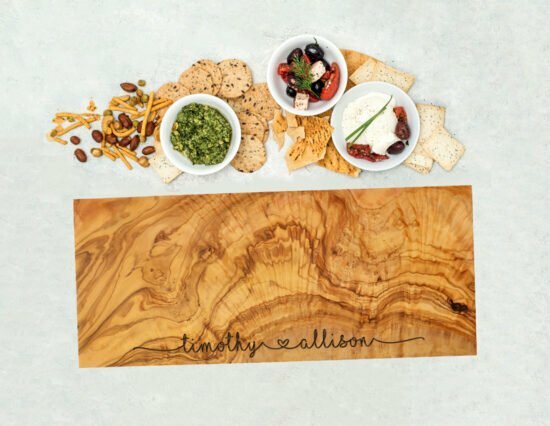 Would you like to engrave a message on the back of the board? 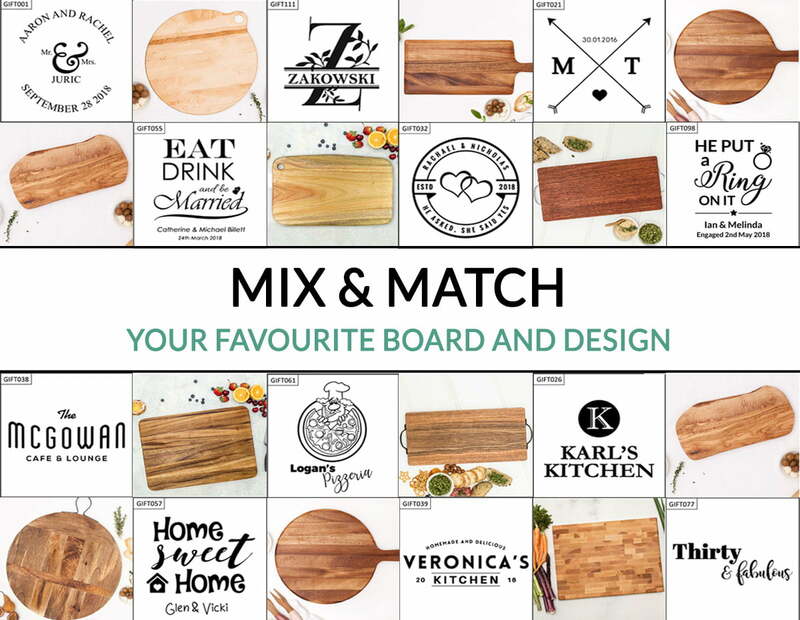 Due to popular demand, we’ve created the ability to mix and match any board listed on our website with your choice of any of our designs! Olivewood Rectangle Cheeseboard – Olivewood, 40cm x 17cm, weighing approx. 1kg. Step 2. Choose Your Design – CLICK HERE to see a catalogue of all of our designs. The designs are labelled with a ‘GIFT’ code, which can then be selected from the drop down above. Once a design has been selected, you’ll be prompted to enter the necessary personalisation details. Step 3. Choose Design Location – Choose where on the board you’d like the design to be placed. Please note that corner options are not applicable for round boards. Step 4. Add to Cart!